An emergency fund is one of many components that make up a financial portfolio. Unlike money set aside for planned spending, an emergency fund is used for unexpected expenses. In this post I will expand on the emergency savings fund. An emergency fund is monies set aside for unexpected expenses. Unexpected expenses are unforeseen, even with the best laid out financial plan and budget. Examples of events that can result in unexpected expenses include: job loss, medical bills and time off work, expenses resulting from death of a family member, punctured tires, and so on. Unexpected expenses do not include vacations, regular maintenance on a vehicle, gifts etc. These expenses can be planned. Even buying gifts for others can be planned. For instance, I am at the stage in life where people around me are either getting married or having a baby. On average, my husband and I attend 3 weddings and 3 baby showers a year. Even though these events are not guaranteed we account for them in our budget each year, because there is a high probability that they will occur. Let us consider this: A good example of the worst case financial scenario – namely job loss – can help us see the importance of having an emergency fund. If you were to lose your job, how long can you and your family financially sustain yourselves before incurring debt? 62% of Americans have less than $1,000 in their emergency fund; 66 million Americans having no emergency fund at all. Financial experts recommend saving 6 months of your household’s basic living expenses in an emergency fund. Basic living expenses are items such as food/groceries, transportation, housing and utilities; even in the event of a job loss, these expenses would remain. However, saving 6 months’ worth of basic living expenses can feel intimidating. My recommendation is, to aggressively save for 2-3 months, then allocate a small amount each month for the fund as you continue to save for other financial goals. Those that opt out of having an emergency fund tend to use debt to fund unexpected expenses. Their argument is that having a lot of money just sitting in a safe account is a waste of financial resources. However, a fully funded emergency fund provides peace of mind. With the example of a job loss, one is less likely to take the next job offer they get; they are more likely to assess their options knowing that they have funds to hold them over for a few months. Getting into debt to finance daily living does not provoke the same response; you are likely to take quickly whatever job that comes your way. Also, those that have an emergency fund and incur a big unexpected expense, like a job loss, come out financially ahead when they find employment compared to those that use debt in a similar situation. Since the income from their new job is not committed to paying off debt and mounting interest costs, they can concentrate their efforts on building wealth. 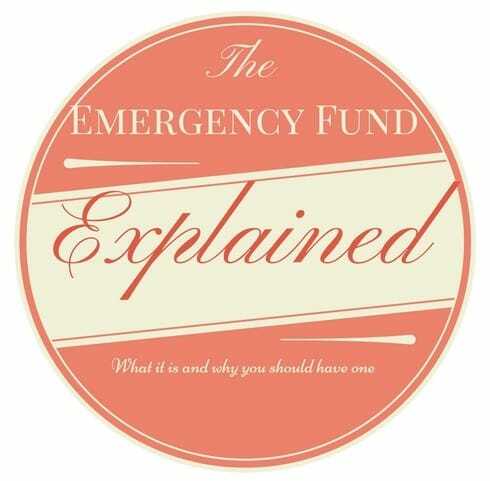 Who should have an emergency fund? In my opinion, everyone that is no longer financially dependent on parents should have an emergency fund. If you are a couple but operate your finances independently, then each of you would need to fully fund your own emergency fund. Subscribe to a 50/50 split, then you would need to save the 50% of your share of basic living expenses, plus any other basic living expenses that you are entirely responsible for. Then, when you join your incomes, then you would treat the two incomes as one large income and have one emergency fund to meet unexpected expenses. When should you save for an emergency fund? Again, if you are 25 and older or not living with your parents, you should start saving for an emergency fund. Even if you live with your parents, as many millennials are finding themselves having to do to pay back their student loans and save, the assumption is that it is a temporary measure. With the reduced living expenses, this puts one in a great position to save a large sum of money in a short period of time. Basic savings account, money market or certificate of deposit (CD) with a short maturity date. Even though these options offer low interest rates (due to low risk), they preserve your principal. You cannot expect an unexpected expense. So, you want to avoid risky investments that can eat at your principal because you do not know when you will need the money. You also want to make sure if you put your money in savings vehicles like CDs, you are not penalized for withdrawing the money therefore breaking your CD before maturity. This is why high yielding savings or money market accounts are a good idea. However, some financial institutions may forgo giving you the interest earned if a CD is broken before maturity but will return 100% of your principal. Make sure you understand the terms of your agreement before locking in your money. I recommend online financial institutions to house your emergency funds. Generally, they offer better interest rates than the regular banks. Online banks tend to offer higher interest rates for savings accounts, money market, and CDs . However, these vehicles are not meant to meet or exceed the cost of inflation, they are meant to preserve your principal, which is what you want. To slightly increase your rate of return, you can consider implementing the CD laddering strategy. It is where you keep a fixed amount in a basic savings account. Then, the remainder in CDs that mature at different times with higher interest rates each time. This ensures that every 6 months to a year, there is a CD due. Which gives you the option to shop for better interest rates each year. Use windfall income like a tax return refund, bonuses, overtime pay, for the first 2-3 months of your emergency fund. Then, allocate 15%-20% of your income towards funding the amount needed to reach the 6-month mark. Don’t get discouraged to save 6 months of basic living expenses and forgo saving for an emergency fund altogether. Start with a goal to save for 2-3 months’ worth of expenses. Then slowly adding onto this amount is a happy medium that gets people to begin to save.